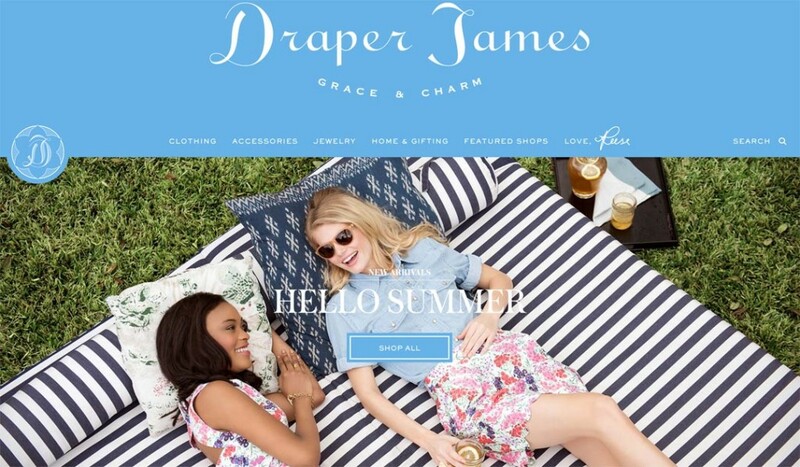 by Mary Epner | Jul 10, 2015 | Digital, U.S.
Reese Witherspoon’s recent launch of Draper James in May— a lifestyle brand spanning apparel, accessories and select home products — joins Gwyneth Paltrow’s goop.com in the growing trend of celebrity lifestyle brands. Unlike Goop, which ranges from health to apparel to editorial tips, Reese doesn’t dispense advice and has a more traditionally focused product that she describes as a “line to honor my past and allow others to embrace the beauty and style and excitement that embodies what is happening in the South today.” We saw flattering and feminine apparel that should have a wide appeal. Where there is increased opportunity is in the home categories where lack of newness from mainline brands provides an opportunity for a celebrity perspective to add value, and a personal home style statement may have more resonance than fashion or accessories. We just hope that, in the case of Draper James, the product will become more affordable to the masses who have supported Reese Witherspoon’s meteoric rise to stardom. Our analysis of the site indicate that goop.com has respectable ranking in the U.S. and Draper James is off to a good start with low bounce rates and double goop’s page views and time-on-site metrics. We will be diving deeper into the complete digital footprint of these brands as Draper James grows beyond its launch. To learn how our unique combination of merchandising expertise, store and digital analysis are combined into actionable perspective, please contact us.